Description: Assemblage is defined as a work of art made by grouping found or unrelated objects. An eclectic mix of vintage inspired elements. Chain 18 in. 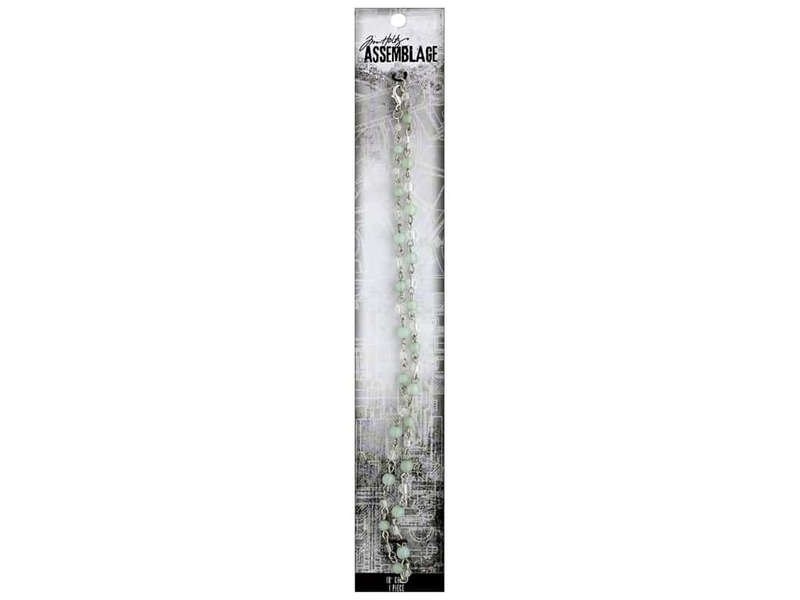 Rosary Peridot- Contains a delicate rosary-style silver finish chain with peridot-colored and clear beads, and a lobster clasp for easy attachment. Enhance with other Assemblage pendants and charms, sold separately.